Animals don’t even need to appear in the flesh in order to cheer up a dismal day. Even prints and illustrations of animals have the power of putting a smile on a gloomy face. OK, so obviously a lot of people don’t particularly like animals, but that doesn’t mean they can’t still appreciate their aesthetic merits. The animal prints seen here are pretty enough to make great accessories for lovers and loathers of nature alike. Most people wouldn’t be overly eager to welcome a real magpie into their home, given their propensity for stealing jewellery, money and whatever other shiny items happen to catch their beady eyes. Fortunately, these magpies wouldn’t be able to rob you even if they wanted to. Securely anchored to this fun lampshade, their one goal is to show off their handsome feathers and help prettify your home in the process. 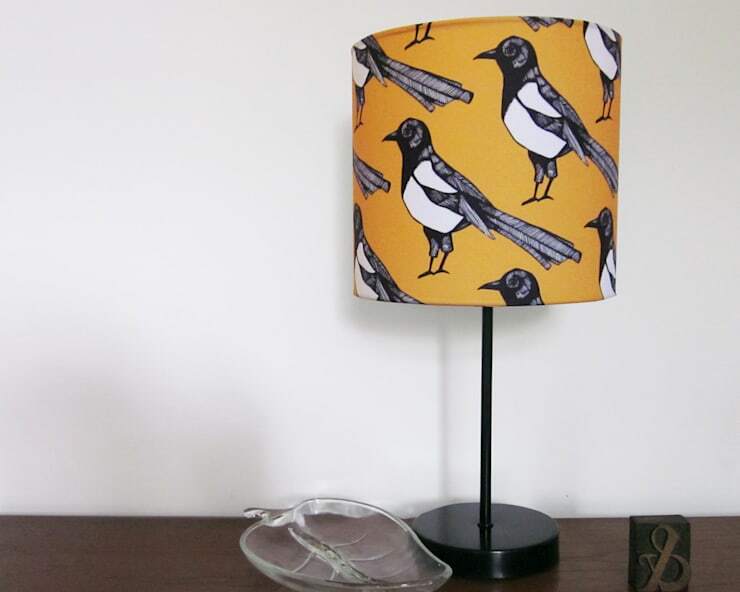 The black and white plumage stands out especially well against this zesty orange background. 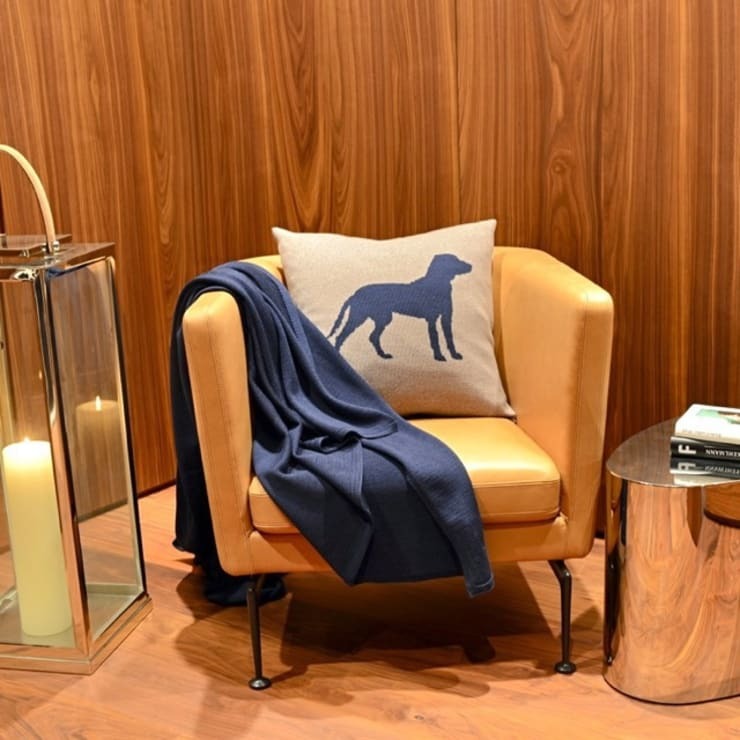 A simple dog silhouette is enough to liven up this simple cushion. This piece capitalises on the hint of quirk suggested by the oversized candle and its case seen on the left-hand side of the picture, suggesting that the designer of this space has a playful side and knows how to bring it out in a variety of perfectly understated ways. 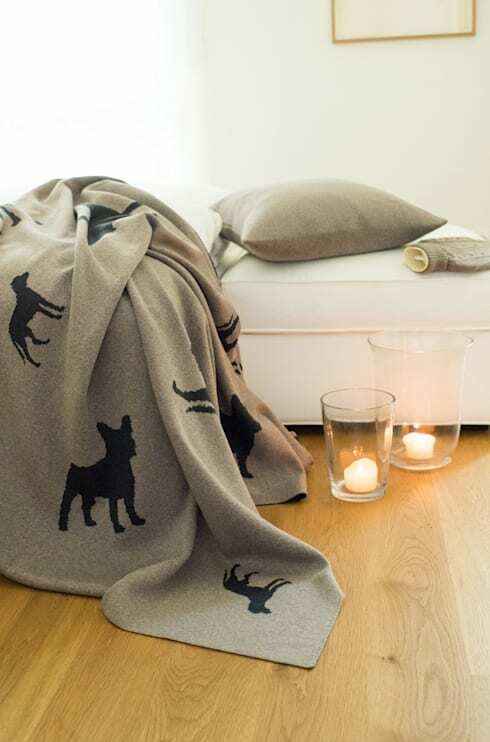 The matching blanket adds French bulldogs to the mix. Why does this puppy have such sad eyes? Could it be because it is forever relegated to the back of this chair, when the other side is quite obviously the prime location? Whatever the cause of its sorrows, this is a larger-than-life face you could fall in love with. You could also be fairly safe in assuming that absolutely no one else you know will have a similar piece. 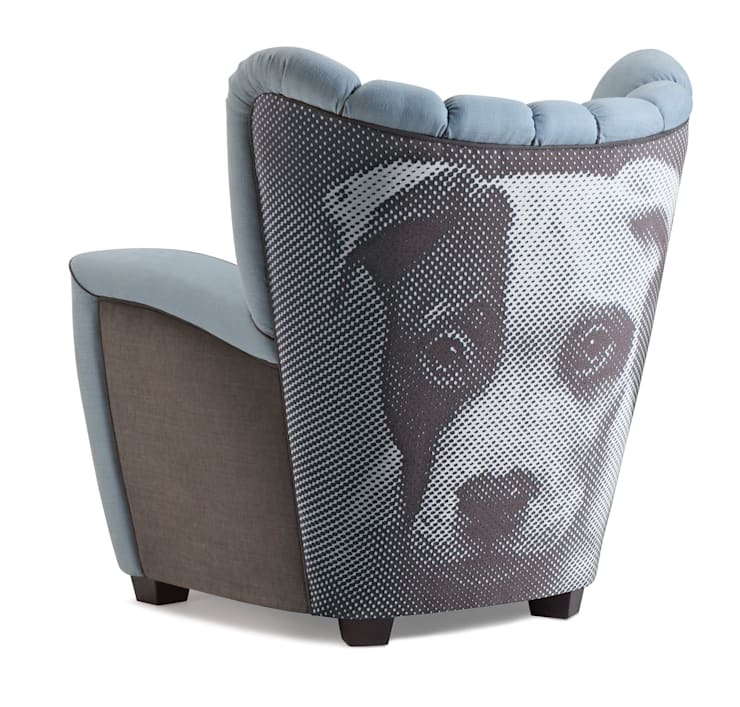 Because how often do you see an armchair with a downcast puppy on it? Almost never. There’s a lot more to animal prints than dogs and birds. This charming stag illustration is made even sweeter by the slight crookedness of the style in which it has been drawn. Once again, just as with the magpie lampshade, a boldly coloured background proves to be the perfect choice to accompany a greyscale drawing. 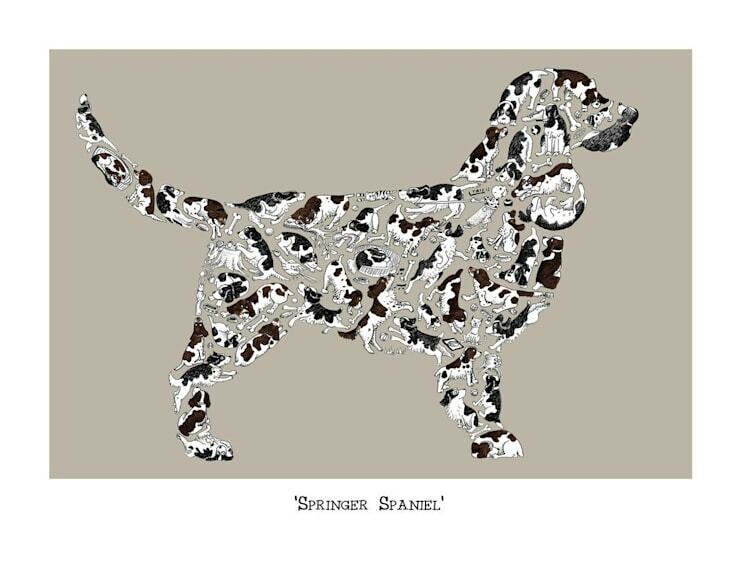 This springer spaniel print, cleverly made up of miniature spaniels leaping, digging, snuffling and sleeping their way through life, has been made just for those who have a particular soft spot for this breed. But if your canine preferences run to different dogs, never fear – the creator of this piece also sells pictures predicting other varieties of man’s best friend. 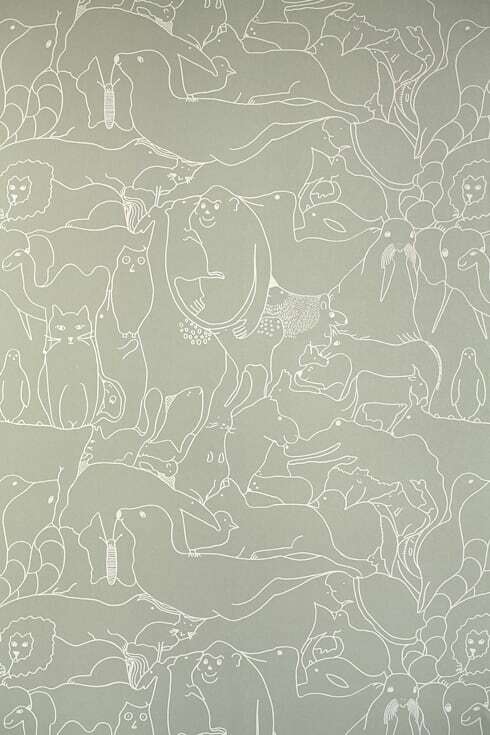 Counting all the different animals crowded into this wallpaper could take quite a while, especially since some of them are pretty hard to spot. In this world, walruses, monkeys, lions, butterflies and many more all live side by side in perfect harmony. 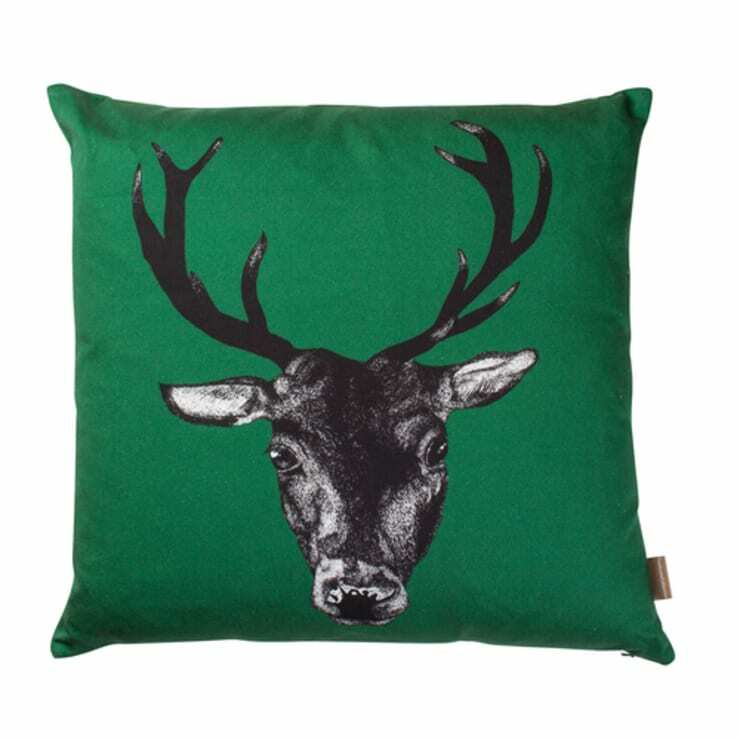 This cushion offers a bit of an aesthetic departure from the other items featured on this list. In style its less playful and arty, and slightly more grown up, partly due to the style of the illustrations and partly due to the fact that the birds here are interspersed with a floral print, which tends to be associated with more conventional decorative styles. 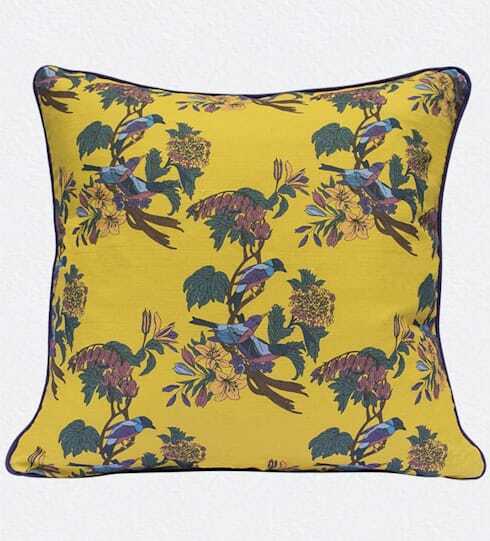 The sunshine yellow background, however, adds an edge that sharply enhances the simple charm of the pattern. Ideal for a feature wall in a nursery or children’s room, this hare print wallpaper will be adored by the smaller members of the family. Would you like to own some of these pieces? Which ones?